It’s commonly known that you should let your faucet drip when it’s freezing outside so your pipes don’t burst. But did you know there are other steps you can take to get your home ready for winter weather? Running your ceiling fans clockwise produces an updraft that sends the warmer air pooled near the ceiling back into the living space – cutting heating costs by as much as 10%! If your home has a forced-air heating system, your indoor air may become uncomfortably dry. Rather than spending a fortune on moisturizer, consider equipping your home with a humidifier. A humidifier will help you breathe easier by replacing that lost moisture. Many thermostats include a feature to schedule the operations of the HVAC system. You can program it to run at a lower temperature for those times of the day when you know you won’t be there. You can then schedule it to kick the heat up shortly before you come home, to ensure that you’ll be greeted with a cozy blast of warm air. This allows you to cut down on your heating costs without sacrificing any comfort. Even the best HVAC equipment won’t do you any good if your duct system is in a state of disrepair; in the same way a strong heart needs unobstructed (and definitely fully sealed) veins to work effectively. If you haven’t had your ductwork inspected in awhile, it’s a good idea to do so before it gets too cold. If your ductwork has holes, blockage or air leaks, your system has to work that much harder to compensate. 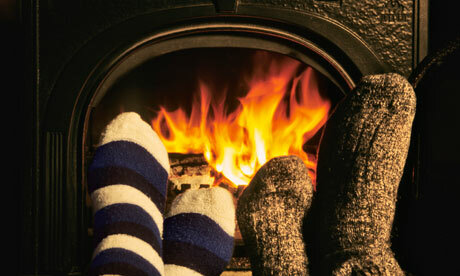 This means more work, and a higher utility bill, to heat your home. I know we sound like a broken record as often as we mention this, but it really is that important. A dirty filter reduces the efficiency of your system by restricting airflow and forcing the system to have to work harder. Your home loses heat through doors and windows, but weather stripping goes a long way in cutting down on how much conditioned air you actually lose. Be sure to replace any loose or frayed stripping to get the most bang for your buck out of your heating system this winter.